2014 saw its fair share of trendy foods. From kale-in-everything to ramen burgers, food obsessives waited in lines, stocked up and flavored everything with some of these newly popular items. What will reign in 2015? It may not be one food item that sweeps the market (i.e. quinoa, Sriracha, kale) but larger changes to where, how and what we eat. In a time of artisanal boom, where a specialty store might house various types of small batch mustards, jams, nut butters and even mayonnaise, one condiment has remained relatively untouched by this market: ketchup. Even in restaurants where the waiter can tell you the name of the cow that provided the milk for the butter on your table, Heinz is still in stock. The company has held a monopoly over the ketchup industry for decades, becoming America’s favorite condiment. Heinz has withstood the test of time and plurality of our current food industry; even Malcom Gladwell is fascinated by this puzzling fact. Now, however, many brave restaurateurs have chose to adopt smaller brands who make the condiment. 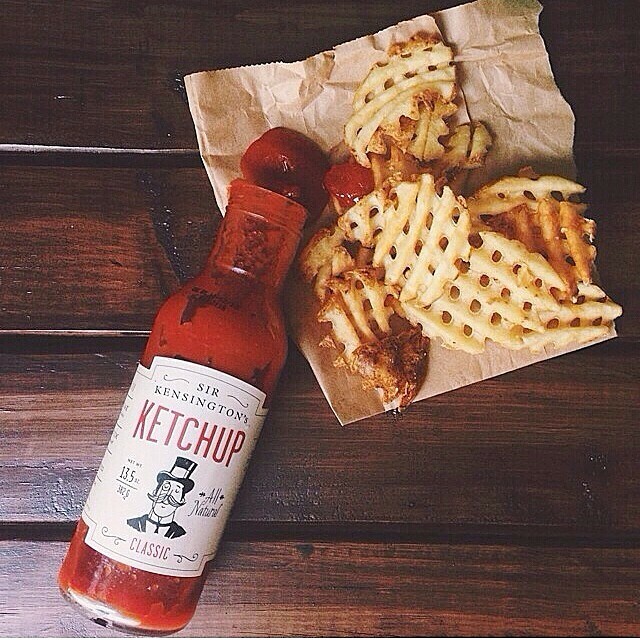 Sir Kensington’s is one of these small companies aiming to bring diversity to the ketchup world by producing a great product that is free of corn syrup and other additives. Started by two Brown grads, the small company based in NYC has over 50 purveyors in the New York City area that include some of the city’s best restaurants. Its no doubt that the success of Sir Kensington’s will bring similar companies to the market and Heinz may become a rare site at any hip locale. It’s unclear when Jewish food started becoming hip, but the trend is definitely starting to gain some serious momentum. 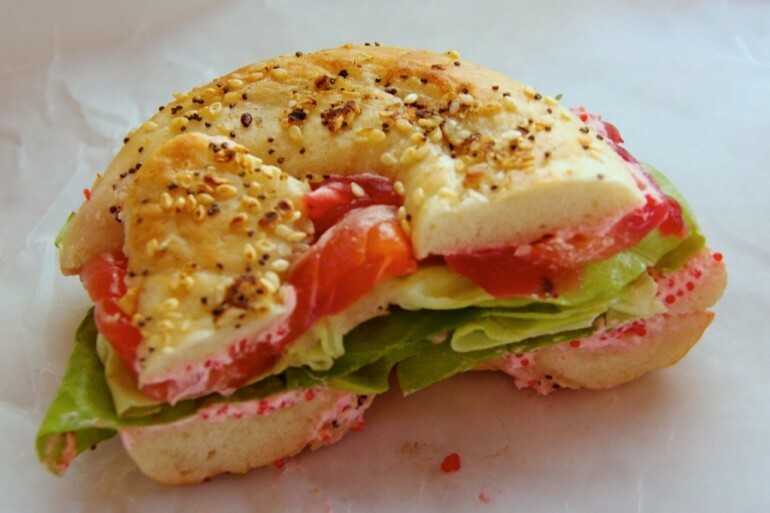 Especially in New York, where bagel shops and jewish delis are ubiquitous, staples like bagels, lox and pastrami sandwiches that were mostly restrained to Katz’s or H&H in yesteryear are now reaching a much younger audience at newer spots. Wylie Dufresne’s now famous ice cream bagel brought these traditional flavors to the table in a whole new way years back, and now others are following suit with new twists on the classics. The popularity of places like Black Seed Bagels, which sells Montreal-style bagels with bold toppings that range from tobiko caviar cream cheese to watermelon radish, are proof that this trend is on the rise. Lower East Side classic Russ and Daughter’s expanded this year with a new cafe that also offers some funky twists on your grandma’s favorites. Take their “Schmaltz and a shot,” which is schmaltz herring with potato, onion and a shot of vodka. Other dishes include babka french toast and challah bread pudding. 2015 will be the year of the “reinvented bagel” and “cool kugel.” According to consulting group Baum and Whiteman, more places like Black Seed will be popping up and expanding beyond the New York food scene. But the real question is, will good bagels ever exist outside NYC? New vegetarian substitutes and even just straight up food substitutes will become a more mainstream as diet trends continue dominate our discourse. Start-ups like Impossible Foods and Soylent are changing the way that people think about eating. 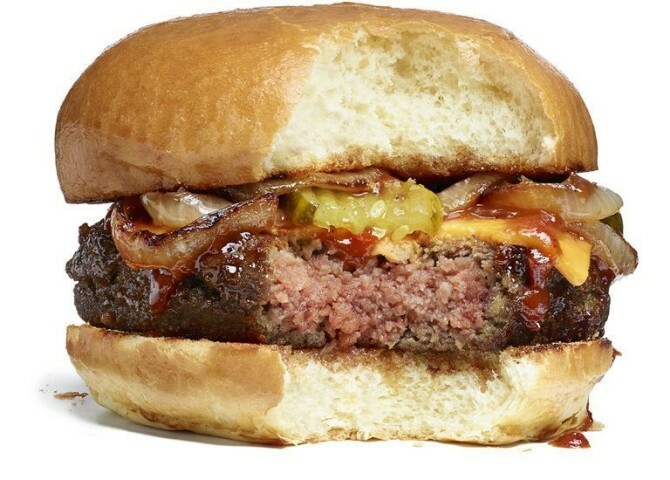 Impossible Foods recently unveiled their controversial veggie burger that “bleeds.” The bleeding effect is made using heme, which is a component of blood that can also be found in plants. I don’t want to make any untested claims, but I’m pretty sure most humans tend to enjoy food instead of worrying about it. Although it might have implications for impoverished countries. Nonetheless, the product has gotten a lot of buzz and is apparently pretty popular. It all feels slightly strange claiming this “non-food” as the next big food trend, but the reality is, this is not the end of products like this. From mediterranean to southeast asian, every type of food seems to be getting the Chipotle model treatment. The success of the Mexican chain has sparked the interest of other companies. According to the consumer market research firm NPD group, millennials are changing the fast food industry, valuing the “core concept” of the company over their advertising campaigns or legacy. As more people begin to call themselves “foodies,” the credibility of where you eat takes on a whole new role. Chains like Chipotle have brought a legitimacy and transparency to their food that other chains are failing at. 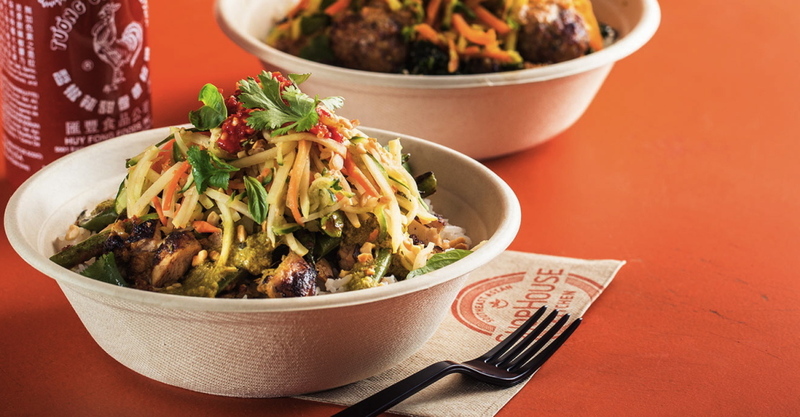 Whether its a stir-fry at ShopHouse or a temaki rolls at Uma Temakeria, fast casual options will proliferate in 2015 as consumers seek out affordable food that reflects their changing values and tastes in our ever increasing food-literate culture. In a world where population is growing rapidly and sustainable food solutions seem hard to find, insects seem like the saving grace. Before to proceed to simply say “gross, never,” lets look at the facts. 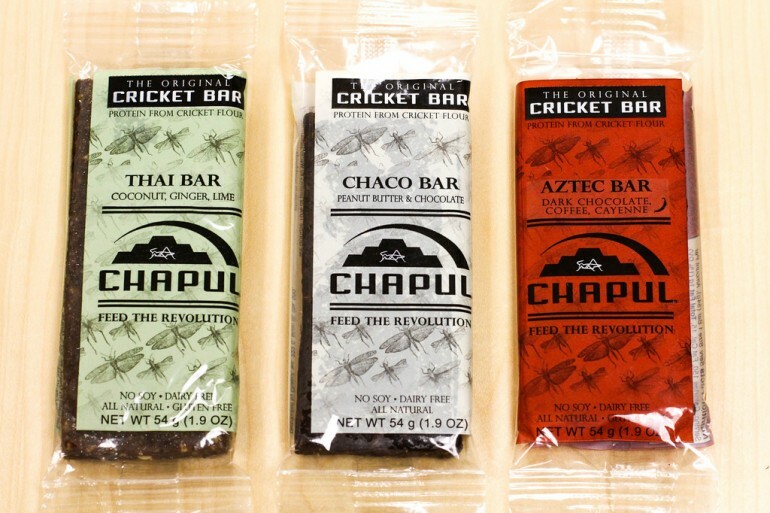 Chapul, which made the first “cricket bar” for sale in the US and appeared on the hit show “Shark Tank” shares some of the benefits of eating insects on their site. These little bugs have 2 times more protein than beef (!!!) and also have 15 times more iron than spinach. In addition to the nutritional benefits, insects are may more sustainable than livestock, which consume large amounts of water, fossil fuels, and pollute water sources with their waste. This upcoming year, insects will begin to break through into the diets of Americans. Companies like Chapul are making the unusual protein source more accessible through bars. Exo is also leading the way in the cricket bar market. Soon to be released in 2015 are Chirps, cricket chips that kind of resemble blue corn tortilla chips. As meat becomes an unsustainable option with our growing population, crickets are sure to become a more mainstream part of our diets as this reality becomes less and less avoidable. Yes, I know cuisines such as Greek and Indian have been including yogurt in savory dishes for centuries, but savory yogurt is breaking through in a whole new way. Greek yogurt has been trending for the past few years, making its way into cream cheese, hummus, ice cream, and granola bars. Yogurt is clearly moving beyond breakfast. 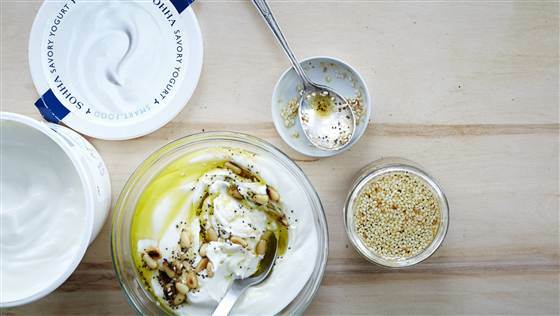 Brands like Blue Hill and Sohha are producing savory yogurts for purchase commercially. Blue Hill has introduced unique flavors that range from parsnip to butternut squash. Sohha, which has an outpost in Chelsea Market, makes plain savory yogurt with toppings such as beets, chickpeas and spinach. Baum and Whiteman lists savory ice cream and yogurt as buzzwords for 2015. The words are not completely new to most eaters, but expect to see more of these items on restaurant menus. Aioli may be replaced with sides of olive oil, rosemary or miso ice cream or maybe some sort of beet yogurt. It seems like the internet discovered the waffle iron this year and its not going away anytime soon. “Fritaffles” (frittata waffles), mac and cheese waffles, pizza waffles, hash brown waffles, the list goes on. Expect to see more casual and chain restaurants galvanize on this internet meme and produce their own novelty waffles. In the restaurant world, chicken and waffles dominated trendy menus. 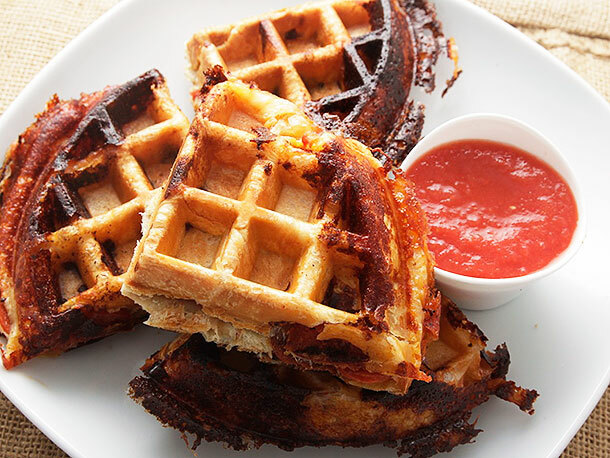 In 2015, the savory waffle concept with continue to proliferate. Expect to see more waffle Benedicts, potato waffles, cornbread waffles, etc. Chicken and waffles won’t be dying out anytime soon either. Matcha is a powder made up of crushed green tea leaves. So its technically tea, but its much different than the drink that would typically come to mind. This powder is typically found in latte form and provides a nutrient packed, less caffeinated alternative to coffee. Matcha provides a less aggressive energy boost and boasts 20 times more amino acids than regular green tea. 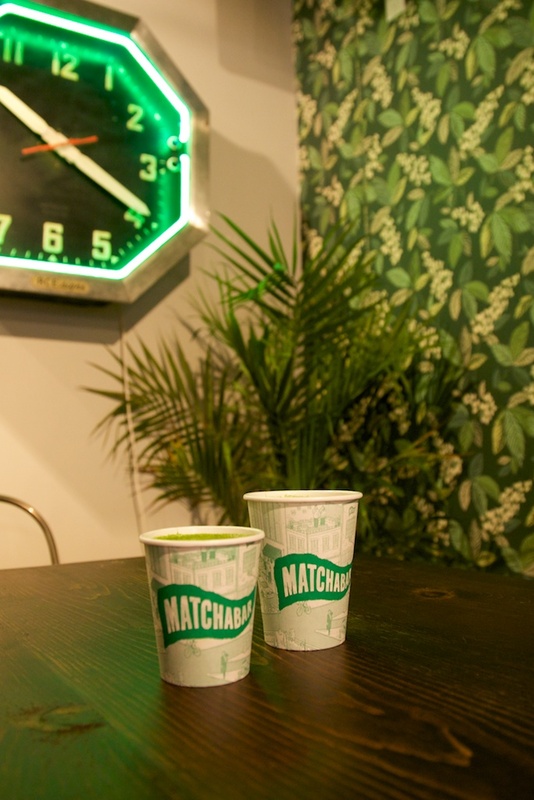 This past fall, MatchaBar opened in none other than Williamsburg, Brooklyn. Just location reflects the trendiness in store. Although the super-drink may still be limited to the hip and health-nut circles, in 2015 matcha will grow beyond Brooklyn and become a popular alternative to coffee and espresso drinks. For more, see the top 15 foods trends from 2014.